At TrailheaDX, Salesforce's first developer conference, the company is encouraging people without programming experience to create apps using Lightning. 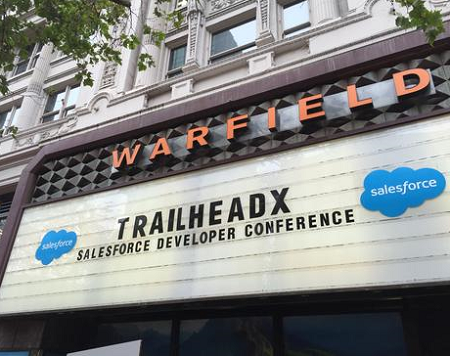 Salesforce held its first developer conference, TrailheaDX, Tuesday at San Francisco's Warfield Theater, a venue for rock stars. Holding a developer conference represents an important milestone for a software company. It's a sign of the company's confidence in the value of its platform to developers, partners, and customers. All the major platform companies host developer events: Apple WWDC, AWS re:Invent, Facebook F8, Google I/O, Microsoft Build, and Oracle JavaOne, to name a few. Salesforce may seem late to the game, given that many companies hold developer events when they're much smaller. It has been holding a more broadly focused gathering called Dreamforce since 2003. With TrailheaDX, Salesforce says it wants something different. It says it wants to redefine the term "developer." Within the company's Summer '16 software release, its 50th for those who are counting, are a variety of tools to enhance Lightning, a component-based development framework designed to allow people without a formal programming background to create apps on the Salesforce platform. "Trailblazers" is the term CEO Marc Benioff uses to refer to the 2.8 million people who have developed some 5.5 million Salesforce apps. Many of these developers are not "software engineers" or "programmers" in the traditional sense, though they've created software programs using Saleforce's tools. They may be IT administrators, business analysts, or even security personnel. 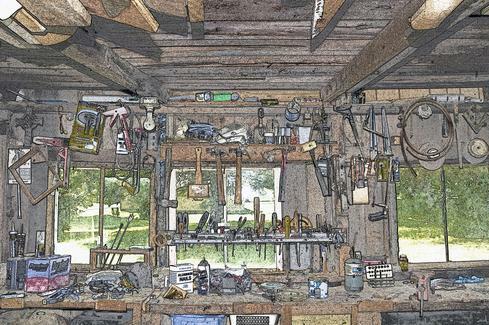 The drag-and-drop nature of Lightning App Builder and the modularity of Lightning Components lower the bar substantially for would-be app creators. "We want to create this big tent of Trailblazers who can build software with no code," explained Brian Goldfarb, SVP of app cloud marketing at Salesforce, in a phone interview. Goldfarb argues that there's more demand for software than the current educational system can accommodate. There are about 20 million software developers in the world, he said, and it would take 100 million to meet demand for all the things people want to do with software. "Traditional degrees really aren't arming developers with the skillsets they need in the real world," said Goldfarb. "Our new developer conference for Trailblazers really begins the movement to democratize app development in the cloud." Salesforce contends that its effort to extend the definition of developer will have a positive effect on the economy. Citing research commissioned from IDC, the company claims that by 2018, Salesforce and its ecosystem of customers and partners will create one million jobs, and will generate $272 billion in GDP worldwide. To provide its developers with a form of recognition, Salesforce is introducing Trailhead Superbadges, credentials that recognize skill training completed through the company's Trailhead online learning environment. The company, citing IT recruiting firm Mondo, claims that Salesforce skills can translate into high salaries -- to the tune of up to $200,000 for Salesforce architects. Salesforce is releasing some 200 additions to Lightning in conjunction with TrailheadDX. Among the more notable are: Lightning LockerService, Lightning Inspector, and Lightning CLI, announced previously and now available. Lightning LockerService provides protection against XSS attacks and other security measures. Lightning Inspector allows users of Chrome's Developer Tools to inspect and profile Lightning components for performance issues. Lightning CLI is a command line tool for code linting (error checking). Salesforce is supporting its big tent through financial incentives. Salesforce Ventures announced a $50 million Lightning fund to encourage the creation of Lightning apps. It also plans to open an incubator -- in the form of office space at Salesforce's San Mateo, Calif., facility -- at the end of the year to promote the development of the most promising startups using Salesforce Lightning to help their customers. Salesforce Lightning won't end the need for code rock stars, but it should encourage many who only watched software development from the audience to venture on stage.